Arrow Books – Make Mine Criterion! Big thanks once again to Aaron West for inviting me onto his podcast, this time onto his second episode of Arrow Now! Enjoy hearing me get thoroughly outclassed by the great Tim Leggoe while we discuss all things Arrow Films, give our respective Top 5s for 2017, and take a look at the year ahead. And in an admission that will likely disqualify me from participating in the same review next year – be warned, it’s very likely that Elvira, Mistress of the Dark will be on my Top 5 for 2018! 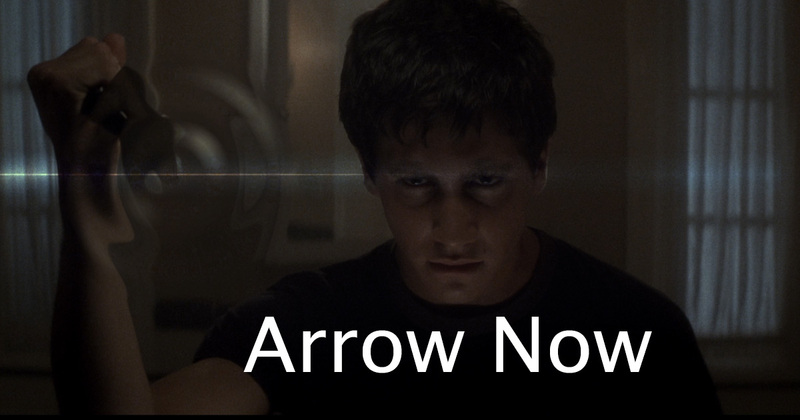 Maybe it’s because Arrow Video made their announcements while I was at the Saskatoon Fantastic Film Festival. Maybe I’m just asleep at the wheel. Either way, MMC! 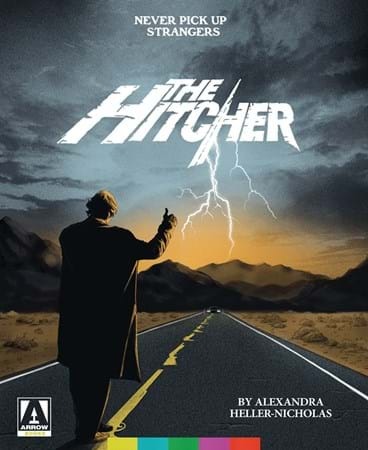 is overdue in noting that Arrow Video will be releasing Robert Harmon’s The Hitcher (1986) at the end of this month, albeit not in the hi-def Blu-ray edition previously proposed here but rather in a scholarly monograph. Robert Harmon’s 1986 film The Hitcher is a complex beast: reviled at the time of its release, it has been adored in the long term as one of the most intoxicating, unrelenting highway cult films ever made. Starring Rutger Hauer in the title role whose alluring villainy would give his turn as Blade Runner’s Roy Batty a run for its money, The Hitcher – both the film and the character – is simultaneously of its time and of the now, a film about the real and the mythic, and a film that challenges our assumptions about masculinity and femininity. Its horrors unfold as The Hitcher tracks and tortures the film’s protagonists across the highways of Nowhere USA, and the film reveals a tangle of contradictions: it is, at times, simultaneously dense, shallow, obvious, subtle, absurd and deeply intelligent. The critical paths into The Hitcher that this book explores are rich and plentiful, and through an exploration of its origins and production history, a close analysis of the film itself and a consideration of the immediate fallout following its release and its longer legacies, this book celebrates one of the greatest highway horror movies ever made. Alexandra Heller-Nicholas is a film critic and academic from Melbourne, Australia, who has written four books on cult, horror and exploitation cinema. Featuring new artwork by Gary Pullin and original stills. Sounds good! I’ll definitely be picking this one up. And once again, MMC! shapes the boutique film label world. You are welcome, cinephiles.